In collaboration with the Boston Psychoanalytic Society and Institute (BPSI), the residency program offers residents who are interested in a more intensive exposure to psychoanalytic theory and psychodynamic psychotherapy an opportunity to do so via the Program in Psychodynamics (PIP). Any resident may elect to participate in the PIP program. 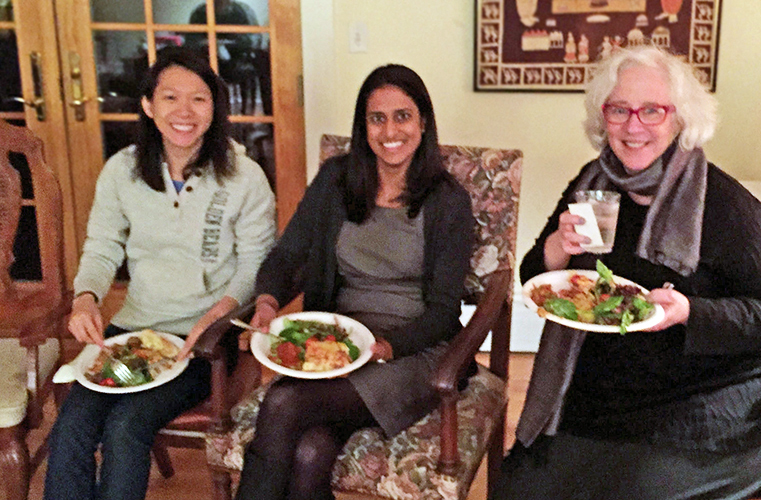 Attend monthly dinners at the homes of PIP faculty where they hear case material presented by the faculty and/or participate in discussions of topics suggested by residents. Receive a guest BPSI membership, including a subscription to PEP Web, an online psychoanalytic search engine. May elect to be matched with a BPSI mentor who will meet with them and/or attend BPSI meetings with them. Are encouraged to see at least one patient for twice weekly psychodynamic psychotherapy. Are encouraged to apply for BPSI's one year psychoanalytic psychotherapy training fellowship (during PGY 3 or 4 year) and may use their educational stipend to support participation in the fellowship. May elect to attend a weekly didactic tutorial provided by BPSI/BIDMC faculty. Are eligible for a travel award that supports attendance at the annual American Psychoanalytic Association (APSAA) meeting.